Ronald Arbuthnott Knox (17 February 1888 – 24 August 1957) was an English priest, theologian and author of detective stories. He was also a writer and a regular broadcaster for BBC Radio. Knox attended Eton College and won several scholarships at Balliol College, Oxford. 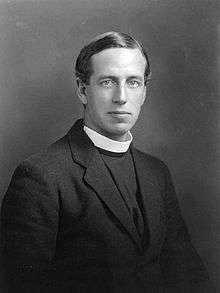 He was ordained an Anglican priest in 1912 and was appointed chaplain of Trinity College, Oxford, but he left in 1917 when he was received into the Roman Catholic Church. In 1918 he was ordained a Catholic priest. Knox wrote many books of essays and novels. Directed by his religious superiors, he retranslated the Latin Vulgate Bible into English, using Hebrew and Greek sources, beginning in 1936. Ronald Knox was born into an Anglican family in Kibworth, Leicestershire, England. His father was Edmund Arbuthnott Knox, who became the Bishop of Manchester. The young Knox was educated at Eton College, where he took the first scholarship in 1900 and Balliol College, Oxford, where again he won the first classics scholarship in 1905. Knox, a brilliant classicist, won the Craven, the Hertford and the Ireland scholarships in classics, as well as the Gaisford Prize for Greek Verse Composition in 1908 and the Chancellor's Prize for Latin Verse Composition in 1910. In 1910, he became a fellow of Trinity College, Oxford. Here, as a devout Anglo-Catholic, he became a key member of Maurice Child's fashionable "set". He would not begin tutorials until 1911 and so accepted the job of classics tutor to the brother of a friend at Eton—to Harold Macmillan (who would be called "C" both in Knox's Spiritual Aeneid and in Evelyn Waugh's biography of Knox)—in the sabbatical, although he was later dismissed by Nellie Macmillan for being a high-church Anglican. He was ordained an Anglican priest in 1912 and was appointed chaplain of Trinity College, but he left in 1917 when he became a Catholic. In 1915, Cyril Alington, who had been master in college at Eton during Knox's time there, and was now the headmaster of Shrewsbury School, invited Knox to join the teaching staff at Shrewsbury to fill in for a former colleger at Eton, his friend Evelyn Southwell, who had joined the British Army. Knox was long remembered at Shrewsbury as the highly dedicated and entertaining form master of Vb. He explained his spiritual journey in two privately printed books, Apologia (1917) and A Spiritual Aeneid (1918). In 1918 he was ordained a Catholic priest and in 1919 joined the staff of St Edmund's College, Ware, Hertfordshire, remaining there until 1926. He served in an Army Intelligence role during the World War. Knox wrote and broadcast on Christianity and other subjects. While Catholic chaplain at the University of Oxford (1926–1939) and after his elevation to a monsignor in 1936, he wrote classic detective stories. In 1929 he codified the rules for detective stories into a "decalogue" of ten commandments (see Golden Age of Detective Fiction). He was one of the founding members of the Detection Club and wrote several works of detective fiction, including five novels and a short story featuring Miles Bredon, who is employed as a private investigator by the Indescribable Insurance Company. Knox singlehandedly translated the Latin Vulgate Bible into English. His works on religious themes include: Some Loose Stones (1913), Reunion All Round (1914), A Spiritual Aeneid (1918), The Belief of Catholics (1927), Caliban in Grub Street (1930), Heaven and Charing Cross (1935), Let Dons Delight (1939) and Captive Flames (1940). 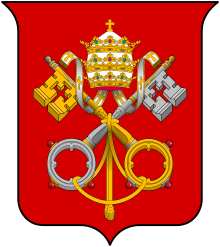 In response to Knox's conversion to Catholicism, his father cut him out of his will. An essay in Knox's Essays in Satire (1928), "Studies in the Literature of Sherlock Holmes", was the first of the genre of mock-serious critical writings on Sherlock Holmes and mock-historical studies in which the existence of Holmes, Watson, et al is assumed. Another of these essays, "The Authorship of In Memoriam", purports to prove that Tennyson's poem was actually written by Queen Victoria. Another satirical essay, "Reunion All Round", mocked the fabled Anglican tolerance in the form of an appeal to the Anglican Church to absorb everyone from Muslims to atheists, and even Catholics after murdering Irish children and banning Irish marriage and reproduction. Knox was led to the Catholic Church by the English writer G. K. Chesterton, before Chesterton himself became Catholic. When Chesterton was received into the Catholic Church, he in turn was influenced by Knox who delivered the homily for Chesterton's requiem mass in Westminster Cathedral. In 1953 Knox visited the Oxfords in Zanzibar and the Actons in Rhodesia. It was on this trip that he began his translation of The Imitation of Christ and, upon his return to Mells, his translation of Thérèse of Lisieux's Autobiography of a Saint. He also began a work of apologetics intended to reach a wider audience than the student one of his The Belief of Catholics (1927). But all his activities were curtailed by his sudden and serious illness early in 1957. At the invitation of his old friend, Harold Macmillan, he stayed at 10 Downing Street while in London to consult a specialist. The doctor confirmed the diagnosis of incurable cancer. He died on 24 August 1957 and his body was brought to Westminster Cathedral. Bishop Craven celebrated the Requiem Mass, at which Father Martin D'Arcy, a Jesuit, preached the panegyric. Knox was buried in the churchyard of St Andrew's Church, Mells. The first biography of Knox, entitled The Life of Ronald Knox, was the work of his friend and literary executor, Evelyn Waugh, and appeared two years after his death. Waugh, a devout Catholic and fervent admirer of Knox's works, had obtained his friend's permission for the task. In 1977 Knox's niece, Penelope Fitzgerald, published a composite biography, The Knox Brothers, which devoted equal weight to him and his three brothers (E. V. Knox, the editor of the humorous magazine Punch, Dillwyn Knox, a mathematician, and Wilfred Knox, an Anglican monk and New Testament scholar). The Wine of Certitude: A Literary Biography of Ronald Knox by David Rooney was published in 2009. This followed two recent studies, Ronald Knox as Apologist: Wit, Laughter and the Popish Creed (2007) and Second Friends: C. S. Lewis and Ronald Knox in Conversation (2008), both by Milton Walsh. A more recent biography setting Knox in the cultural context of his times is Terry Tastard, Ronald Knox and English Catholicism (2009). In January 1926, for one of his regular BBC Radio programmes, Knox broadcast a simulated live report of revolution sweeping across London entitled Broadcasting from the Barricades. In addition to live reports of several people, including a government minister, being lynched, his broadcast mixed supposed band music from the Savoy Hotel with the hotel's purported destruction by trench mortars. The Houses of Parliament and the clock tower were also said to have been flattened. Four months later there was considerable public disorder during the General Strike so the possibility of a revolution was real at the time. Because the broadcast occurred on a snowy weekend, much of the United Kingdom was unable to get the newspapers until days later. The lack of newspapers caused a minor panic, as it was believed that this was caused by the events in London. A 2005 BBC report on the broadcast suggests that the innovative style of Knox's programme may have influenced Orson Welles's radio broadcast "The War of the Worlds" (1938), which it foreshadowed in its consequences. In an interview for the book This is Orson Welles, Welles himself said that the broadcast gave him the idea for "The War of the Worlds". The script of the broadcast is reprinted in Essays in Satire (1928). Absolute and Abitofhell (1913). A satire in the manner of Dryden on the latitudinarianism of the authors of Foundations (including William Temple, later Archbishop of Canterbury). Reunion All Round (1914). A satire on the readiness of certain Anglicans to sink doctrinal differences with the Nonconformist sects in the interests of Christian good fellowship. Bread or Stone (1915). Four addresses on impetrative or petitionary prayer. Patrick Shaw-Stewart (1920). Biography of Knox's friend and fellow Etonian, Patrick Shaw-Stewart, who died on active service in the First World War. Memories of the Future: Being Memories of the Years 1915–1972, Written in the Year of Grace 1988 by Opal, Lady Porstock (1923). Combines a parody of the current autobiographies of women of fashion with a gentle satire on current whims — educational, medical, political and theological. Sanctions: A Frivolity (1924). An elegant and (despite its subtitle) not particularly frivolous fiction in the manner of W. H. Mallock's The New Republic, in which the guests at a country-house party find all their conversations turning towards the question: what are the ultimate sanctions, social, intellectual, supernatural, which determine man's behaviour and destiny? Other Eyes than Ours (1926). A satirical tale about a hoax played on a circle of spiritualists. An Open-Air Pulpit (1926). Essays. The Belief of Catholics (1927). His survey of Catholic belief, considered a classic of apologetics and a Catholic equivalent to C. S. Lewis's Mere Christianity. Essays in Satire (1928). Contains the best of his Anglican humorous writings, with some subsequent literary essays. The Mystery of the Kingdom and Other Sermons (1928). The Church on Earth (1929). On Getting There (1929). Essays. Caliban in Grub Street (1930). A satire on the religious opinions of some of the chief popular writers of the day (including Arnold Bennett and Sir Arthur Conan Doyle). Broadcast Minds (1932). A criticism of the religious opinions of some of the leading scientific publicists of the time (including Julian Huxley and Bertrand Russell). Difficulties: Being a Correspondence About the Catholic Religion, with Arnold Lunn (1932). An exchange of letters with Lunn, then a curious but sceptical Protestant, about the Catholic Church. Lunn later converted. Barchester Pilgrimage (1935). A sequel to the Chronicles of Barsetshire written in the style of Trollope. It follows the fortunes of the children and grandchildren of Trollope's characters up to the time of writing, with some gentle satire on the social, political and religious changes of the 20th century. It was reprinted in 1990 by the Trollope Society. Let Dons Delight (1939). One of Knox's most famous works, though currently out of print, Taking as its subject the history of Oxford from the Reformation to shortly before World War II, it traces the disintegration of a common culture though the conversations of the dons of Simon Magus, a fictional college, first in 1588, and then by fifty-year intervals until 1938. Captive Flames: a Collection of Panegyrics (1940). Twenty-one homilies on some of Knox's favourite saints, including St Cecilia, St Dominic, St Joan of Arc and St Ignatius of Loyola. In Soft Garments (1942). Addresses to Oxford students on faith in the modern world. God and the Atom (1945). An ethical and philosophical analysis of the shock of the atomic bomb, its use against Hiroshima and Nagasaki and the moral questions arising therefrom. The Mass in Slow Motion (1948). A book of talks for schoolgirls which, with its two successors, became the most popular of all Knox's writings. The Creed in Slow Motion (1949). The second book of his talks for schoolgirls. On Englishing the Bible (1949). Book of 8 essays about re-translating the Bible from the Latin Vulgate, with Hebrew/Greek sources. The Gospel in Slow Motion (1950). The final book of his talks for schoolgirls. St Paul's Gospel (1950). A series of Lenten sermons preached that year by Knox in Westminster Cathedral. Enthusiasm: A Chapter in the History of Religion with Special Reference to the XVII and XVIII Centuries (1950). Knox's own favourite book, a study of the various movements of Christian men and women who have tried to live a less worldly life than other Christians, claiming the direct guidance of the Holy Spirit, and eventually splitting off into separate sects. Stimuli (1951). A selection of his monthly contributions to The Sunday Times. The Hidden Stream: Mysteries of the Christian Faith (1952). Addresses to Oxford students in which Knox evaluates fundamental dogmas and stumbling blocks of Catholicism. Off the Record (1953). A selection of fifty-one letters addressed to individual inquirers on religious topics of general interest. Bridegroom and Bride (1957). Wedding addresses. The Three Taps (1927) – features Miles Bredon. The Footsteps at the Lock (1928) – features Miles Bredon. The Body in the Silo (1933) – features Miles Bredon. Still Dead (1934) – features Miles Bredon. Double Cross Purposes (1937) – features Miles Bredon. "Solved by Inspection" (1931) – features Miles Bredon. ↑ Evelyn Waugh (1959), Ronald Knox: A Biography, 1988 reprint, London: Cassell, Book I, "Laughter and the Love of Friends", Chapter 5, "Accomplishment 1910-1914", p. 106, ISBN 0-304-31475-7. ↑ The life of Ronald Knox' by Evelyn Waugh, 1959 and The History of Shrewsbury School by J. B. Oldham. ↑ Grosset, Philip. "Miles Bredon", detecs.org. Retrieved 16 May 2011. ↑ UK: Fitzgerald, Penelope (1977). The Knox Brothers (1st ed.). London: Macmillan. p. 261. ISBN 978-0-333-19426-3. OCLC 59050056. USA: Fitzgerald, Penelope (1977). The Knox Brothers (1st ed.). New York: Coward, McCann & Geoghegan. p. 261. ISBN 978-0-698-10860-8. LCCN 00055492. OCLC 3090064. ↑ Waugh, Evelyn (1959). The Life of Ronald Knox. London: Fontana Books, 1962, p. 279. ↑ Slade, Paul. "Holy terror: The first great radio hoax". PlanetSlade.com. Retrieved 14 May 2010. ↑ Snoddy, Raymond (13 June 2005). "Show that sparked a riot". BBC NewsWatch. ↑ Welles, Orson, and Peter Bogdanovich, This is Orson Welles. HarperAudio, 30 September 1992. ISBN 1559946806 Audiotape 4A 6:25–6:42. Welles states, "I got the idea from a BBC show that had gone on the year before [sic], when a Catholic priest told how some Communists had seized London and a lot of people in London believed it. And I thought that'd be fun to do on a big scale, let's have it from outer space — that's how I got the idea." 1 2 3 4 5 6 7 8 9 The brief description of this book is from Waugh, Evelyn (1959). The Life of Ronald Knox. London: Chapman & Hall. (Paperback: London: Fontana Books, 1962). ↑ Waugh, The Life of Ronald Knox, 1962, p. 274. David M. Rooney, The Wine of Certitude: A Literary Biography of Ronald Knox (San Francisco: Ignatius Press. 2009). Terry Tastard, Ronald Knox and English Catholicism (Leominster: Gracewing, 2009). Hugo R. Duhn (1981), A Thematization and Analysis of the Spirituality in the Writings of Ronald A. Knox, 1888-1957, STD dissertation, Studies in Sacred Theology, 2nd Series, No. 284, Catholic University of America. Petri Liukkonen. "Ronald Knox". Books and Writers (kirjasto.sci.fi). Archived from the original on 4 July 2013.